Winner of the Cycling Plus Race Bike of the Year Award 2018! 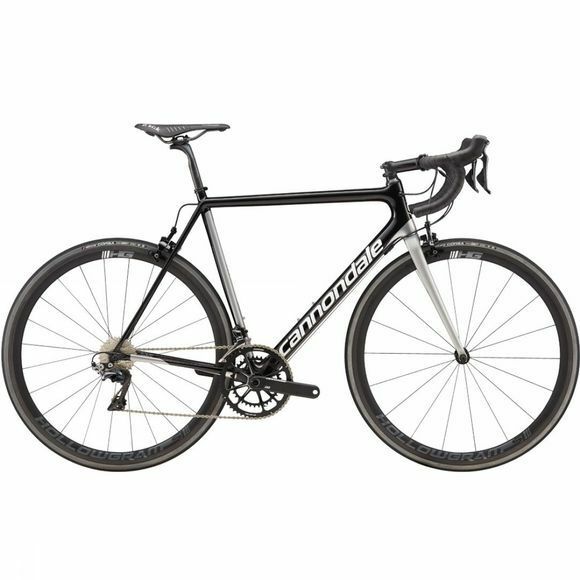 The Cannondale SuperSix Evo is the ultimate all-round racing bike. Using Cannodale’s proprietary BallisTec, this capable bike incorporates a refined carbon layup of high stiffness, high strength and low weight. To increase ride comfort Cannondale have graced the Evo with their SPEED SAVE technology, which allows the bike to roll faster and increases ride comfort significantly without creating a weight penalty. Truncated Aero profile (TAP) tube shapes create an aerodynamic advantage, whilst maintaining frame stiffnesse. And, graced with a more than capable Dura Ace groupset, the SuperSix Evo is one of the most capable race bikes of 2018.